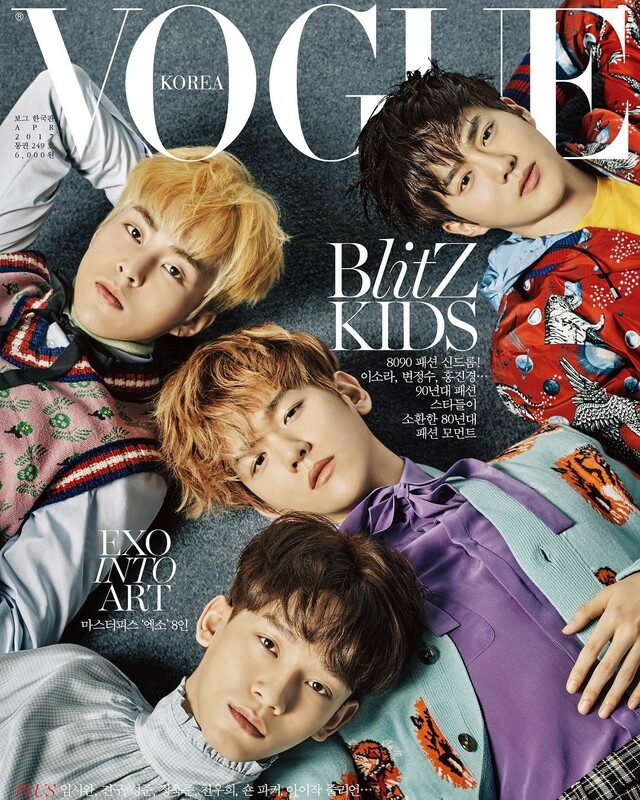 Boy group EXO transformed into romantic dandy boys for the April cover of�'Vogue Korea'. The covers were split into two with 4 members on each over. 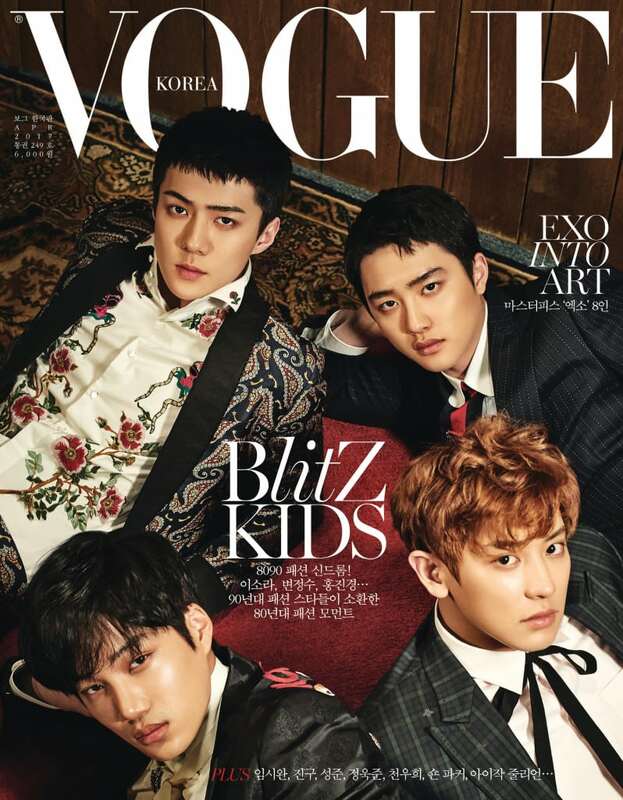 Along with the covers, 'Vogue Korea' wrote on social media, "EXO members stood before 'Vogue Korea' prior to the opening of artist Jesse Mockrin's 'XOXO' exhibition starting March 17." Two versions of the April covers were unveiled with EXO members Chanyeol, Sehun, Kai and D.O. looking romantic in their fancy flower printed dress suits. �Meanwhile, the second version featured Chen, Baekhyun, Xiumin, and Suho in a more casual�attire. Check out the handsome covers below.